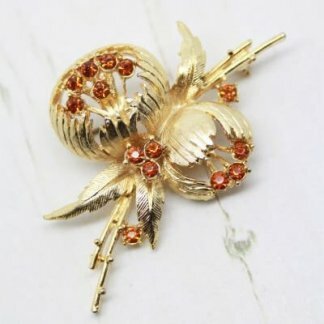 Description: We love bow brooches at Queenie’s Bazaar and this brooch has to be my current favourite. 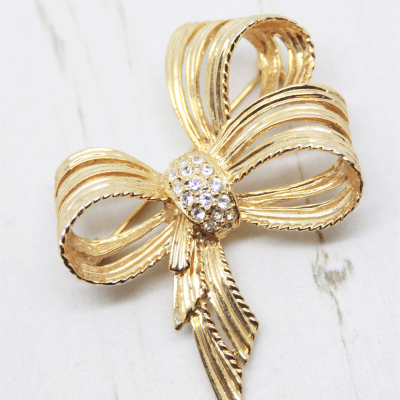 This detailed pin features ribbons of ‘gold’ folded into a classic bow shape – 19 shining crystals at the centre finish this simple but glamorous design. 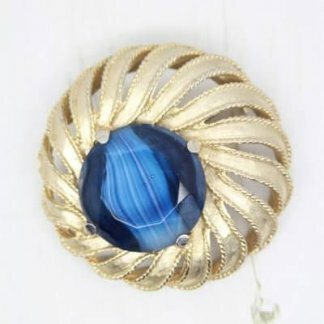 Measuring 4.7cm x 6cm, this brooch is in wonderful condition showing slight to no wear. It appears unworn and ‘new’. Complete to the back with a strong roll lock clasp. 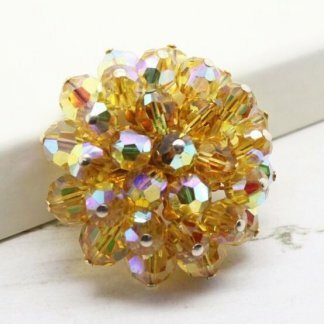 A stylish addition to any jewellery box.